You are on Access Point (Gate 36 - Accessible Entrance). Skip to the next section. 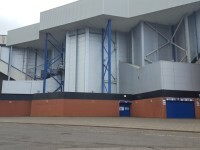 This information is for the access point located on the West corner of the Sandy Jardine Stand. The width of the access point opening is 230cm. There is/are no ticket reader(s) at the access point. 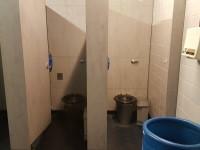 The nearest accessible toilet is 10m from the access point. 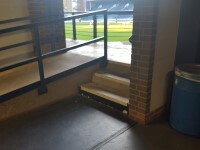 There is step-free access from the access point to the stand concourse. 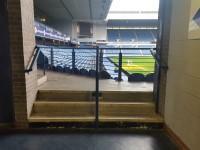 You are on Turnstile(s) (Sandy Jardine West Stand). Skip to the next section. 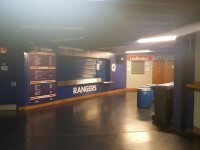 This information is for the turnstile(s) located on the West corner of Sandy Jardine Stand. 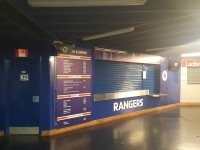 The turnstile(s) used to access the stand is/are 76 and 77. 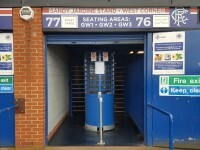 The turnstile(s) surveyed was/were 76 and 77. There is/are no ticket reader(s) at the turnstile(s) surveyed. 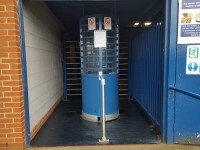 The turnstile(s) can be overcome by using Gate 36 - Accessible Entrance. 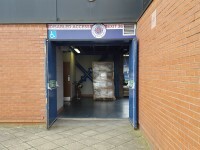 There is step free access from the turnstile(s), to the stand concourse. 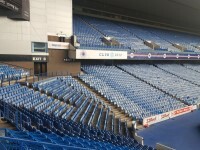 This stand is for away supporters. This stand has a dedicated access point for wheelchair users. 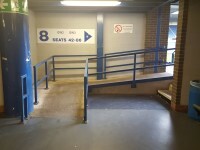 The name of the dedicated access point is Gate 36 - Accessible Entrance. 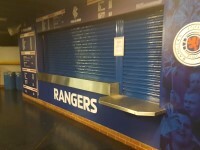 There are designated spaces for wheelchair users within this stand. 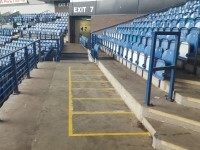 Designated spaces for wheelchair users are located in the lower tier. Clear directional signage is provided for the designated spaces. 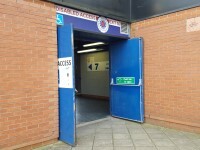 There is an/are accessible toilet(s) available within the stand. 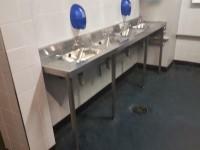 The accessible toilet(s) is/are located in the main concourse. 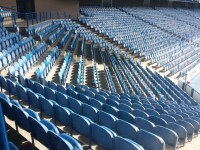 You are on Designated Seating Area(s). Skip to the next section. 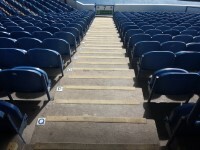 This information is for the designated seating area located in the lower tier. 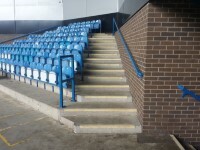 There is ramped/sloped or stepped access to the designated seating area. The view from the seating area is good. 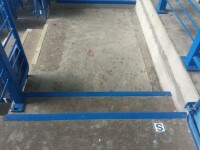 There is/are 7 designated space(s) for wheelchair users in the seating area. Companions sit behind the patron. There is sufficient space for an assistance dog to rest. There is a dedicated steward to provide assistance. 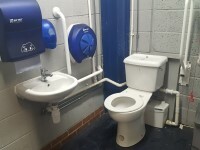 The dimensions of the accessible toilet are 135cm x 230cm (4ft 5in x 7ft 7in). 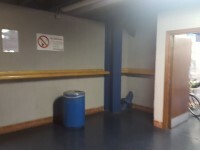 The height of the towel dispenser is 110cm (3ft 7in). 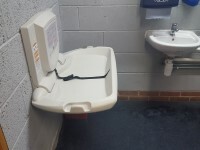 The height of the baby change table once extended is 77cm (2ft 6in).